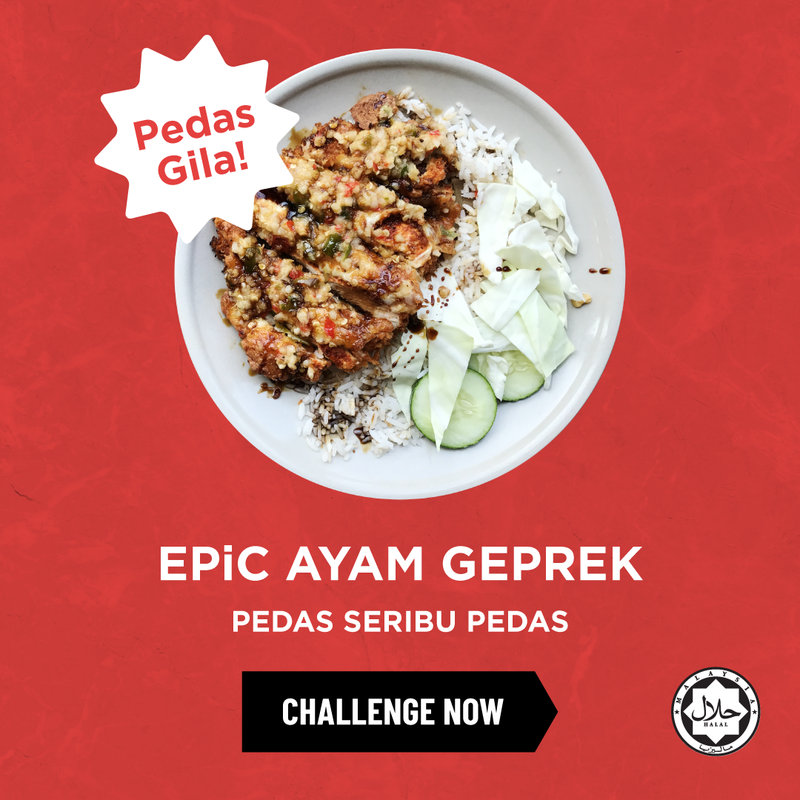 EPIC AYAM GEPREK | Epic Fit Meals Co.
G’day peeps! The legendary EPiC Ayam Geprek is BEK!!! A short introduction for those still unaware of our legendary, fire breathing Ayam Geprek. It is a dish originating from Indonesia. Our interpretation of the phenomenal, trending dish involves our smashed ‘fried’ chicken which is mashed together with our very own made-from-scratch sambal ‘Cili Ganas’, mozzarella cheese, fresh white cabbage and cucumber served together with rice and kicap manis. Irresistibly spicy, sweet and savoury at the same time, it is the ultimate Ayam Geprek!